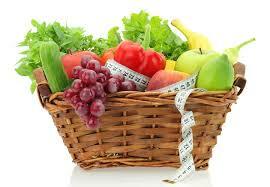 STEPWISE WEIGHT LOSS II continued.. Drink water before every meal. Naturally it will make you feel fuller and you may actually eat lesser. Cut down the quantity of food that you serve. If you're used to two helpings of an item, go for one instead. The smaller the better. Use small utensils to cook and serve. Be it a spoon, plate or cup go for the smaller size. Eat while standing. Sitting down at a dining table usually gives a mental preparation for a lengthier meal time and chances are, you'll keep filling and refilling your plate. Another trick is to serve the food on plate from kitchen and eat away from it. This discourages the urge to go for the second trip! After a few mouthfuls, engage yourself in other activities e.g. recheck your office presentation or go see if your kids have finished their homework. The idea is for the brain to get enough time to register that food has been taken in. The longer you are away from the next bite the more the chances that satiety will set in. Be aware of what you eat. Always think of the amount of oil, salt, sugar and calories that you are consuming. Alternatively you may choose to count calories too. It helps to set a limit. Learn to say NO! Tell yourself that you definetely do not need extra calories from the tempting treats within your reach. Chew your food slowly. This not only gives time for satiety to set in but also treats your taste buds. After all eating should be a pleasurable experience! Moreover, scientifically speaking well chewed food is easier to digest. Brushing teeth after dinner also helps to cut down the urge for late night snacks. It is wiser to snack frequently than have large 3 meals. Share your meals while eating out, makes you eat lesser and saves your hard earned cash. Do away with tempting appetizers, desserts, side dishes and condiments. Avoid starters, instead go for the main course straightaway. In case that's not avoidable than opt for a salad for the starter. Alternatively you may regularly eat salad before your meals. Cut down on eating out. Prefer to cook your own meals. Its both healthier and cheaper. Clear pantry of all the junk food instead stock with healthier options. Remember buffets aren't your option. Its hard to resist all those choices and its tempting to eat to get your money's worth. Prefer blander meals, the less tastier the food the lesser chances of eating more. Avoid your kid's leftovers! Very common way to add more calories in the name of why-waste-food. Serve lesser to kids in the first helping, they can always go for the second helping if needed. Here is the next step after you have successfully learnt to eat less.